Mountain Soul Yoga co-owner Julia Clarke teaches a vinyasa flow yoga class Friday in Edwards. The class explores more advanced poses, as well as advanced breath techniques and meditation. When: Class times vary by day, with options in the morning, afternoon and evening. Where: 56 Edwards Village Blvd., Edwards. Cost: Monthly unlimited memberships are $99, and yearly memberships are $850. More information: Call 970-446-6485, or visit mountainsoulyoga.com to view a complete schedule of classes. EDWARDS — The new space occupied by Mountain Soul Yoga in Edwards is designed with just that in mind. The sun-filled spot is located at the corner of U.S. Highway 6 and Edwards Village Boulevard and offers a large, modern space for mountain community members to engage in a soulful flow. While Mountain Soul Yoga is a newcomer to the valley, the new yoga establishment should be a natural fit for locals and visitors looking for a comfortable spot to progress their practice. Founded by longtime Vail-area yoga instructors and practitioners Julia Clarke and Georgina Baker, the new studio keeps up with the high-caliber classes the two are known for, and the goal of the establishment is to elevate the experience for everyone who attends a class. “We come here to be in communion with the mountains, whether you live here or are visiting,” said Clarke of the studio’s aesthetics, which feature large, floor-to-ceiling windows to allow for big views and natural light. The studio features two separate class spaces, as well, which allows for more class choices with one of the studio’s 13 instructors and a medley of styles, from more powerful flows to restorative options. 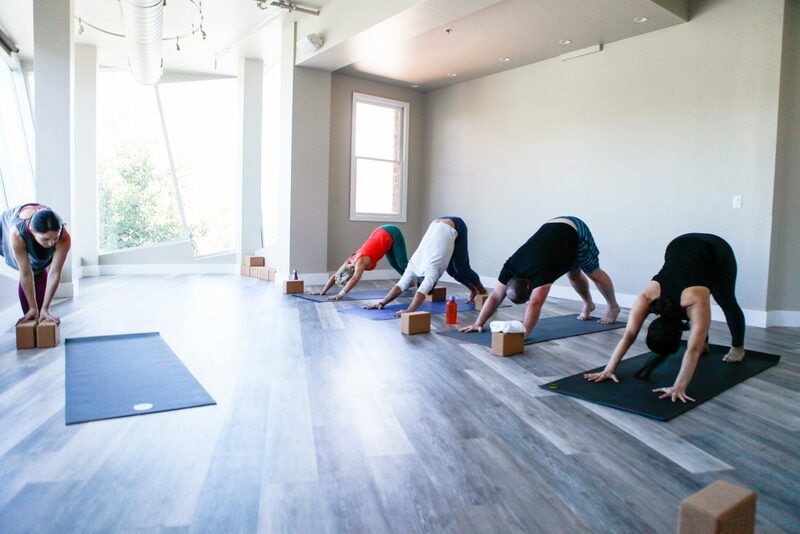 The yoga studio’s location in Edwards splits the distance between Eagle County residents living downvalley and Vail residents looking for a space to reconnect with a practice outside the bustle of Vail Village. Along with an assortment of different class styles, Mountain Soul Yoga will offer teacher training in conjunction with the Colorado School of Yoga. Course participants can expect 200-hour teacher training programs based in vinyasa yoga, restorative yoga and yin yoga, all with classes running through the fall and winter. At Clarke and Baker’s new studio, different pricing options are available for different budgets and schedules. Clarke explained that the concept behind Mountain Soul Yoga was to create a beautiful studio that offered a great selection of classes to anyone trying to fit a practice into his or her day. Yearly unlimited memberships are $850, and unlimited monthly memberships are $99. Punch cards and drop-in rates are also available for visitors or second-home owners looking to fit in a practice at the new studio while they’re in town. More information about classes, schedules, teacher training, pricing and instructors can be found by checking out Mountain Soul Yoga’s website, http://www.mountainsoulyoga.com.